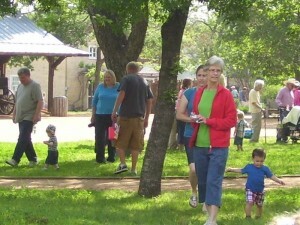 Come for some ‘old-fashioned fun’ on the Pioneer Museum Grounds, 325 West Main Street. Perhaps even a visit from the Easter Bunny! Children ages ten and under are invited to an Easter Egg Hunt on the museum grounds. There will be a special area for toddlers. Admission is free. Children must be accompanied by an adult. The egg hunt will begin promptly at 10:30 am. Cookies and lemonade will be served.